The first annual forum of the Azerbaijani youth of America took place in the California University of Los Angels. The event was organized by the American-Azerbaijani Council of California (AACC) through the support from the Consulate General of Azerbaijan in Los Angels, Trend reports quoting the press-service of Azerbaijan Democratic Reforms Party (ADRP). The event was mainly attended by the young leaders of the Azerbaijani community of the USA. The members of the ADRP Political Council Eldar Jahangirov and Mardan Efendiyev also participated in the event. The primary goal of the forum was to consolidate and systematize the efforts for creating a positive image of the country and promote the national interests of Azerbaijan. In addition, the topics of the seminar were geo-policy, energy, economy and education. The forum concluded with a cultural program. According to Jahangirov, the event was organized and held at the professional level. I am glad that the organizers could attract the young and talented leaders of the Azerbaijani diaspora from all states of America, he said. 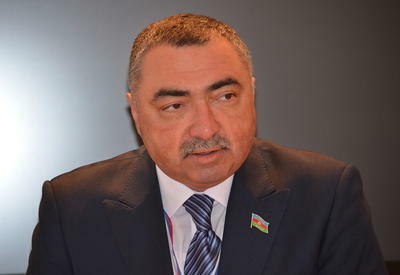 Both conducting the forum and strengthening the Azerbaijani diaspora reflects a role of returning Azerbaijan to the international relations, Consular General of Azerbaijan in Los Angles Elin Suleymanov told Trend.